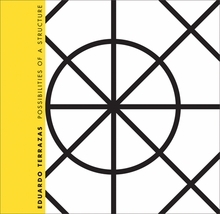 Text by Vania Rojas, Paola Duarte, Edward J. Sullivan, Eduardo Terrazas. 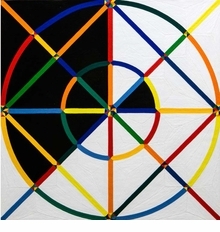 Mexican Eduardo Terrazas (born 1936) has worked as an artist, architect, urbanist, museographer and designer for 45 years. He first came to prominence as a co-designer of the logo for the 1968 Olympic Games in Mexico City; during that same period, he created the now-iconic inflatable ball-balloon, inside of which models posed for mod shots featured in Harper's Bazaar. His objects--often geometric and brightly colored--have made their way into pop culture. The artist has also risen to prominence as an urban planner: he has designed numerous public housing projects in cities across Mexico, and was invited by the Tanzanian president to rethink the nation's capital in the 1970s. This publication spans Terrazas' prolific output, from his earliest plastic art to his modernist statistic diagrams, to his useful graphics. It serves as tribute to a multidisciplinary artist who weds functional architecture with a contemporary-art sensibility. Paperback, 8.75 x 10 in. / 104 pgs / 103 color. 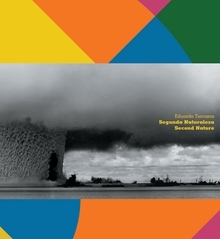 Text by Jaime Repollés, Tomás Maldonado, Guillermo Fadanelli, Jim Nikas, Rafael Argullol, Raquel Tibol, Nuria Castañeda, Lorena Wolffer. 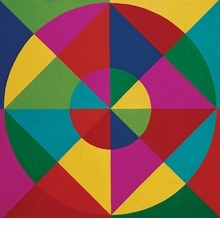 For more than 40 years, the Mexican artist, designer and architect Eduardo Terrazas (born 1936) has worked across disciplines to imagine new ways of adding color and expansiveness to the landscape around him. This volume compiles his abstract paintings for the first time. Terrazas’ abstractions range from bright, bold and chunkily geometric paintings to more delicate, evanescent works, but all are suffused with a robust and joyous feeling for color. Here, these works are organized into a visual tour of Terrazas’ entire oeuvre, arranged in pairs that mix the various series comprising his visual art, establishing analogies, contrasts and affinities. Possibilities of a Structure includes an introduction, three essays, a conversation and a biographical profile, as well as a catalogue presenting the oeuvre divided into 15 series, each accompanied by an analytical text and information. Hardcover, 10.5 x 9.5 in. / 344 pgs / illustrated throughout.